‘Bold and the Beautiful’ spoilers relate that if you thought the Mommy Wars ended after the college acceptance letters were mailed out then you are sadly mistaken—at least in the B&B universe, that is! Brooke will go after Taylor, accusing her of using their daughters to perpetuate their own fued. She feels like Taylor just wants to stir up trouble until one of them croaks, so she’s using Hope to accomplish that. Taylor insists that this isn’t the case at all, rather she’s just looking out for both Steffy and Thomas. She even goes so far as to say she’s looking out for Hope as well, insisting to Brooke that Hope and Thomas are a much better match and that one upside is that Hope already gets along with young Douglas. Brooke isn’t having it and thinks that Taylor is just making the situation infinitely worse and that Hope and Steffy’s lives aren’t some pieces on a chessboard that she can play with. Taylor says that it’s Liam and Steffy’s destiny to be together and neither Hope nor Brooke should stand in the way. Do you feel Hope should be with Thomas and Liam with Steffy? Ridge however, tries to soothe the infuriated Brooke, telling her to give Taylor a break, but maybe that’s not the best course of action for Ridge, seeing as Taylor is his ex and he was recently caught locking lips with her. Brooke feels like he’s putting Steffy’s needs above Hope’s and that’s going to cause some major tension. Looks like someone’s sleeping on the couch tonight, eh, Ridge? Meanwhile, Bill and Katie are wondering who on earth their matchmaker is and are prepared to do anything to find out their identity. While they certainly don’t mind being paired up again, the curiosity is killing them. They figure it must be someone who really wants to see them together again, but who? They question both Wyatt and Justin, but come up empty-handed. 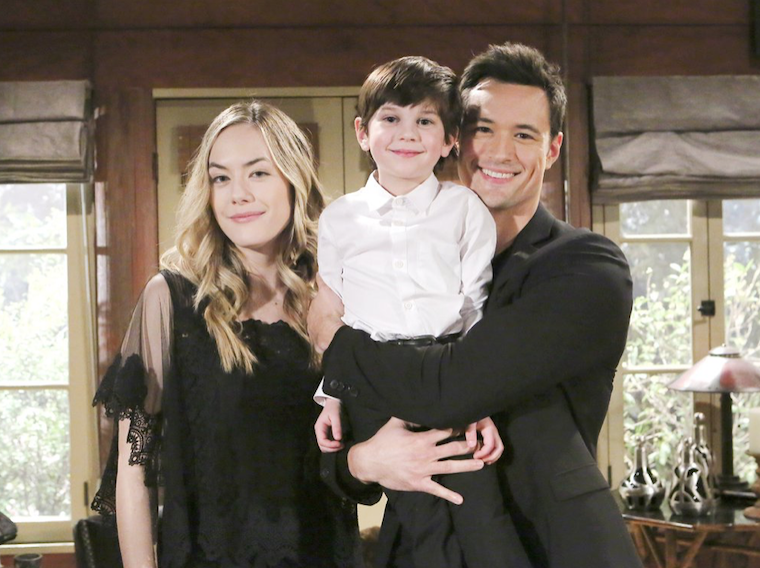 The Bold and the Beautiful Spoilers: Scott Clifton (Liam Spencer) Previews Shocking Twist – Steffy Fights Hope For Baby Beth Even After Heartbreaking Truth Comes Out! It’s confusing, to be sure, but both will be thrilled when they find out who is actually behind these sweet gestures. As it turns out, Will Spencer has been playing cupid and setting the two up! Awww, isn’t that just the most precious thing? We’re rooting for them! Stay tuned! ‘General Hospital’ Spoilers: What’s Next For Matt Cohen and Griffin Munro? The Young and the Restless Spoilers Monday, April 1 Update: Temperature Reaches Boiling Point, Rey and Sharon Make Love – Distressed Victoria Has Enough Drama, Leaves Genoa City!